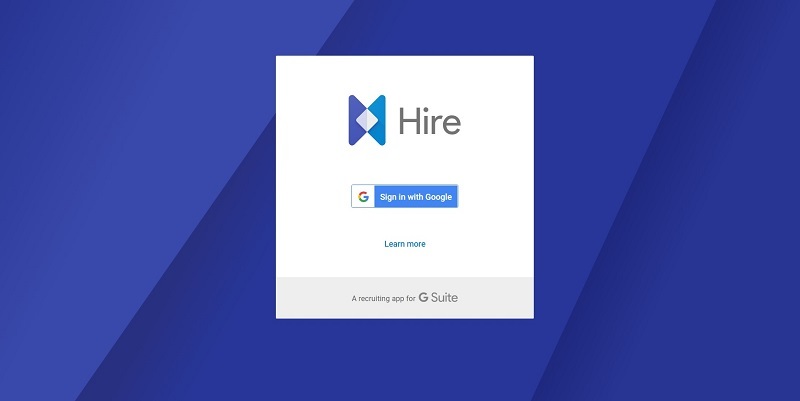 Google has launched Hire, a new recruitment app for their small and medium business G-Suite customers. With the help of this app these customers can manage job postings, identify talent, screen and interview candidates, and collect interview feedback. The product utilises the industry partnership and takes advantage of machine learning to bring employers and job seeker in contact, and in this process Google search plays a very important role. Google says it had been testing the service with customers for more than a year before releasing it in public. As like other google products, this app integrates with many other Google product, like calendar and Gmail. Users can schedule interviews in Hire and after candidates are in added in Hire pipeline, user can analyze their data with the application like Google Sheets. The app is now available for US-based businesses with fewer than 1,000 employees that use G Suite. Currently, more than 3 million businesses use G Suite. For now, we are not sure what impact this make on other job posting sites. Probably it will make no effect, but only future knows this. Siddharth Shanker Mishra is a programmer, blogger and learner. He loves to read and write about programming, education, new technologies and financial stuffs. He loves to do new experiments and reading history books.